How Can IT Outsourcing Help My CPA Firm Get More Clients? The cloud has been a blessing and a curse for CPA firms. On the one hand, disrupters like TurboTax have taken the cloud and made it their own by offering do-it-yourself options for consumers. But accountants can fight back by using cloud computing to cut costs, increase access, and create new value-added services for clients. This article looks at IT outsourcing options in the cloud and how they can help the average CPA firm stay competitive in a digital universe. Get a free IT assessment by clicking here. Placing your IT infrastructures in the cloud, whether it’s storing data or using software, have been designed to streamline the workflows of all businesses. These applications are designed to work together seamlessly, integrating client information across platforms. This saves time and increases the accuracy of data since data is not entered in multiple places. Office productivity tools are very low-cost and efficient in the cloud. Now, even the smallest accounting firm has access to many of the tools the big players have always been able to afford. You can skip costly licensure fees, because of the pay-as-you-go system which allows you to scale up or down as needed. IT outsourcing to the cloud can also save money as it allows firms to eliminate the cost of on-site hardware. You can create flexible work arrangements with managed IT service firms to monitor your networks and create security mechanisms to keep your data safe. The cost and time savings found in these cloud benefits will allow your firm to spend more time marketing its services in order to expand your client base. The accounting field is changing, in large part thanks to technology. CPAs are increasingly concerned about how they can stay relevant to new and existing clients in a field saturated with DIY options. Accountants can compete in this market by changing service lines to offer value-added services to clients. Today, our clients are enjoying immediate collaboration in so many other areas, including banking, financial investments, and social media. It’s all about being mobile and agile. Accounting is the next logical step in this area, but only if firms support a collaborative environment. For example, CPAs could develop personalized client web portals for their largest, “private label” clients. On it, they could provide tax advice, forms, and other helpful information, along with new services like payroll, transaction processing, enterprise resource planning, and cash flow management. CPA firms could develop a secure phone app that helps clients budget more effectively or calculate profit and loss. Simply having a smartphone-friendly mechanism to communicate by sending files could be useful for today’s mobile-obsessed client. For CPA firms that are slow to adapt to cloud technology, there is a risk that they will fail to stay relevant to clients and fall behind. Contact TOSS C3 to discuss how IT outsourcing will help you stay competitive in the digital era. 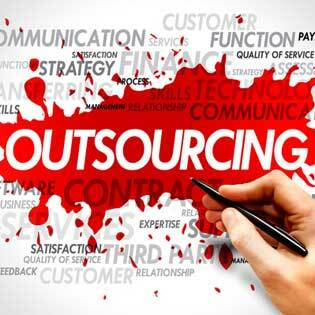 Request a quote on IT outsourcing.